Sona wore a BCBG maxazria black dress. 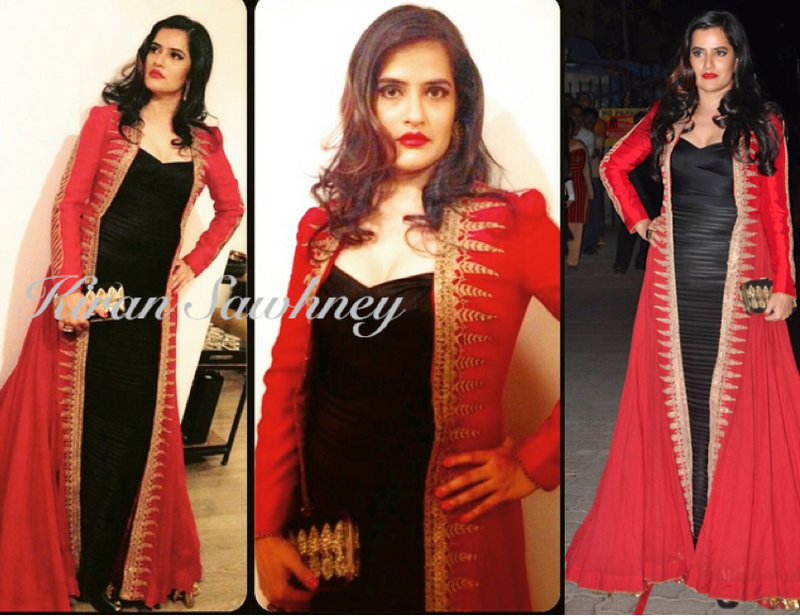 Over that she wore Anand Kabra long jacket in red color. She really reminds us of Matador. She carried a black embroidered clutch with it. She finished the look with wavy hair, red lips and a cocktail ring.